From the heart of West Coast Blues, Delta Wires blend soul and big band, harmonica and horn blues with the urban beat of the 60’s when Mississippi Delta and Chicago influences blended with early rock to create a hybrid of urban sound. 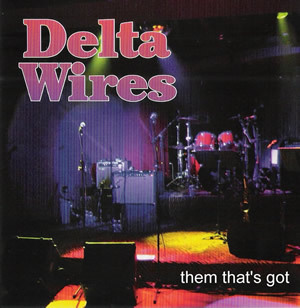 Beginning and staying in Oakland for 35 years, the Delta Wires have been a stalwart in the Bay Area blues scene as well as playing with many top blues and rock acts, fans all over the world enjoy their music. Ernie Pinata has kept the band moving forward and is always striving to provide a high-energy performance to keep people all over movin’ and groovin’ to the blues. “They blow hard from the get-go, a tight horn section blending comfortably with the spirited, intense harmonica from lead man Ernie Pinata – as fierce a Sonny Boy Williamson-influenced harp as you will find” – Bill Kisluik, BLUES ACCESS Magazine.